Austria’s Daniel Habesohn won in 2014, Hong Kong’s Jiang Tianyi succeeded one year later, in 2017 Yan An was crowned champion; one common factor and there is another. In order to regain their hard earned men’s singles crown it will be a long journey; all must compete in qualification tournament for places in the Seamaster 2019 ITTF World Tour Hungarian Open. Play starts in Budapest on Tuesday 15th January. Bremen, Germany, 21 March 2018. U21 1/4 Finals, German Open platinum ITTF World tour event. Potentially the longest journey is that faced by Yan An; he starts his quest in the opening preliminary round when he faces Lithuania’s Rimas Lesiv. Portugal’s João Geraldo awaits the winner. Furthermore, in 2013 Yan An also won in Sweden; note the player he beat in the final on that occasion, a certain colleague named Fan Zhendong, the top seed in Budapest. Somewhat differently, for Daniel Habesohn and Jiang Tianyi, the journey starts in the second preliminary round. Jang Tianyi faces the winner of the contest between Spain’s Carlos Machado and Italy’s Daniele Pinto; for Daniel Habesohn it will be either Chinese Taipei’s Hung Tzu-Hsiang or Switzerland’s Cédric Tschanz. Similarly, winners on the Seamaster 2018 ITTF World Tour, China’s Liang Jingkun and Zheng Peifeng commence their journey in preliminary round two. Liang Jingkun, the winner in Austria confronts either Frenchman Stéphane Ouaiche or England’s Tom Jarvis; Zheng Peifeng, successful in the Czech Republic, faces the winner of the contest between Thailand’s Supanut Wisutmaythangkoon and China’s Xu Yingbin It is an interesting duel. 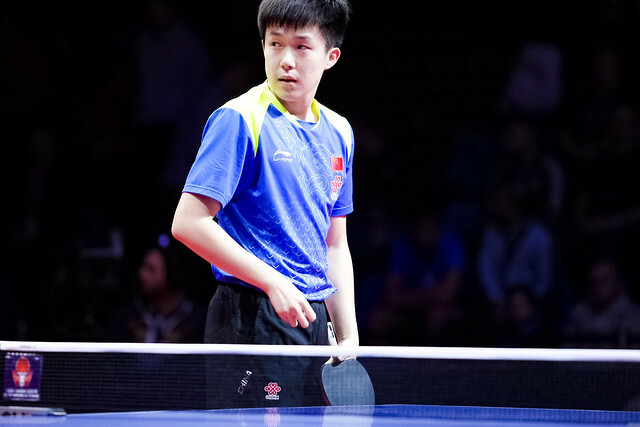 Supanut Wisutmaythangkoon was a semi-finalist at the 2018 ITTF Challenge Seamaster Nigeria Open; Xu Yingbin was a member of the gold medal winning outfit in the boys’ team event at the World Junior Championships. The situation is somewhat different in the women’s singles event; no previous winner must qualify. However, there are two most notable names on preliminary phase duty; China’s He Zhuojia and Sun Yingsha. Runner up at the Seamaster 2018 ITTF World Tour Grand Finals in Incheon, He Zhuojia faces India Divya Deshpande in the opening preliminary round of the women’s singles event. Meanwhile, Sun Yingsha, gold medallist at the Buenos Aires 2018 Youth Olympic Games, starts her itinerary in the second preliminary round; she meets the winner of the contest between Slovenia’s Alexandra Vovk and Linda Bergström. Play in the qualification tournament concludes on Wednesday 16th January.